Almost a year to the day after his last tour through five German cities, Kiefer Sutherland is back in Germany for a second round; touring to promote his debut album “Down In A Hole”. The Hollywood star, and famous son of acting legend Donald Sutherland, has been in the music business for some time now. 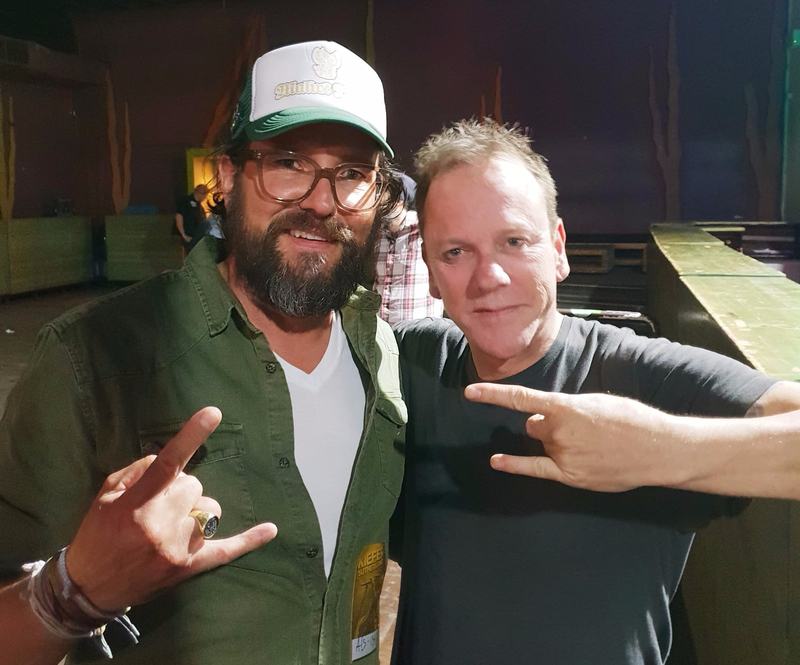 Kiefer Sutherland represents artists such as Rocco DeLuca and the Burden, HoneyHoney and Billy Boy on Poison under his record label “Ironworks”, founded together with Jude Cole in 2002. We know this Bamberger traditional brewery has always been one for surprises. Mahr’s Bräu is no longer just beer and Rock ‘n’ Roll, but now a little bit Country. On the Rocks…and Mahr continually sets the bar.